Portugal is looking forward to a long, hot and successful summer. Holiday accommodation is already largely booked out for summer and the airports are at full capacity. So the big news is all about development. New airports, new building projects and international schools, all are going up. 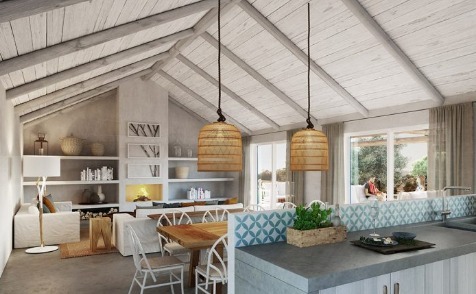 La Réserve, a new development at Comporta, has been winning approval from buyers. But where is Comporta and why are people buying there? Comporta is 60 kilometres south of Lisbon. That’s as the seagull flies, however, there are several large bodies of water you’ll need to drive round. It’s 180km north of the Algarve on the Troia peninsula. This is a largely unspoilt piece of land that until recently was best known for rice growing. There is a rice museum, if you ever need a break from the beaches which are attracting the global jet set. If you have heard of Comporta it could be because Jose Mourinho and Madonna are both reported to have enjoyed holidays or bought homes there. Not together, a match made in heaven though that would be. The village itself is not the attraction. Apart from a couple of bars there isn’t a great deal to it. Yet it is this absence of Algarve-style bling, its bohemian sort of atmosphere, that is attracting Lisbon’s well-heeled sunlovers. The main event is the waterfront, mile after mile of gloriously unspoilt beach. And while there isn’t much to do, you’ll even struggle to find an ice cream vendor, that may be about to change. The new airport (see below) would cut traveling time considerably. Another major factor in what many see as being Europe’s most exciting development prospect. La Réserve should be ready by the begiining of 2020, with villas from €678,000, village houses from €308,000 and apartments from the mid-€200,000s. For an introduction to the developer of La Réserve, call our friendly Portugal Property Guides team on 020 7898 0549 or email portugal@propertyguides.com. Home owners with property to rent in the Algarve (and elsewhere in Portugal) are looking forward to a profitable summer. While resorts in France or Greece might only be busy for July and August, Portuguese holiday home owners can look at renting well into the “shoulder season”, and beyond. Should you choose to rent via an agency, some will guarantee as much as 13 weeks’ rental income, while actually expecting to rent your property for at least 20 weeks of the year. Tourism in the Algarve is now a 12-month business. Last year, for the first time, the numbers of tourists over the nine “off-season” months equalled the three months of high summer. Over 900,000 passengers flew into Faro Airport just in the first quarter of 2018. It is working at full capacity, even after raising capacity last summer. New airline routes have opened up too, such as Ryanair’s new Faro to Naples route. Both Italians and the Portuguese have discovered the delights of the weekend away. 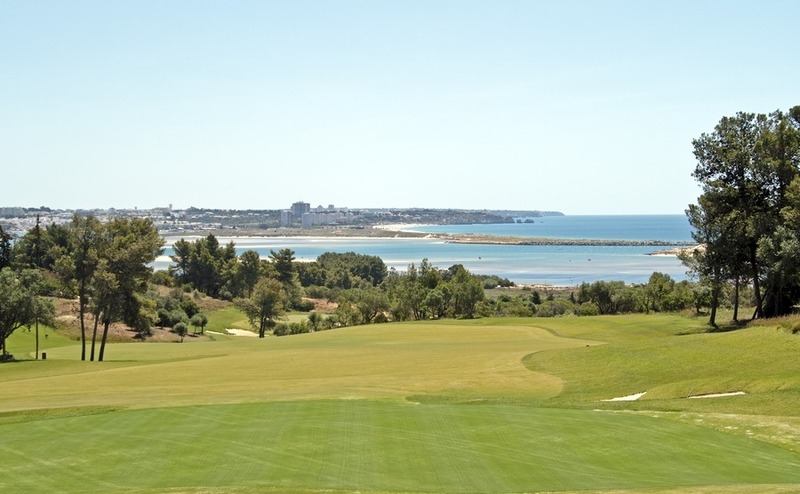 There were 327,500 rounds of golf booked in the Algarve in the first quarter of this year. If the Property Guides golf team is anything to go by, that’s at least a million lost balls. If that all sounds a bit energetic, the Algarve has been awarded 98 Gold Standard beaches. Albufeira has 22, more than any other town in Portugal, followed by Almada, Vila Nova de Gaia, Vila do Bispo and Torres Vedras. The awards came from environmental organisation Quercus, based largely on water quality. Mind the water hazard. One of the Algarve’s many golf courses. The word amongst local estate agents (and not just from Olhão) is that the next Algarve property hotspot is going to be Olhão. This seaside town of just under 50,000 people offers a choice of resort property and homes within a lively Portuguese community. Advantages are that it is just 20 minutes from Faro Airport. There’s a good bus service too, which could make quite a saving on car hire over the years. While estate agents will often boast about resorts being former fishing villages, this one still has a fishing fleet. The town’s fish market and restaurants are authentically Portuguese, and the watery theme continues when you go to the beach on a little boat. Rightmove has apartments from under €100,000, although for an apartment to rent out you’ll need €150,000-plus. For a villa with pool you’ll need to double that. Don’t let currency movements wreck your property buying budget. For the most personal and efficient service, contact Smart Currency Exchange. 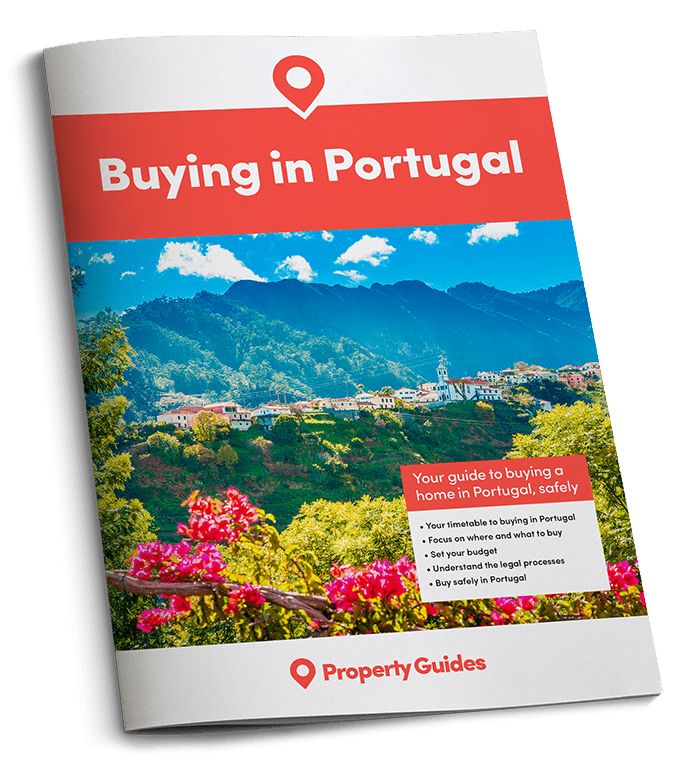 With offices in London and the Algarve, Smart are the currency specialist that Portugal Property Guides recommends. 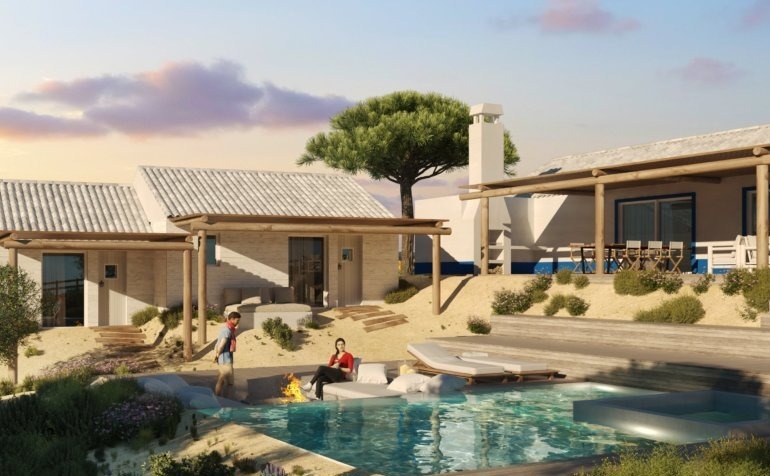 The owners of Monte de Quinta resort at Quinta do Lago and resorts in Sagres and Cascais have announced a huge new development of luxury flats in Lisbon. The €130million project is on the site of Lisbon’s Parque das Nações. This is very close to the (old) airport and on the banks of the Tagus River by the Ponte Vasco da Gama. The development will include an international school nearby – hinting at the market the developers are hoping to attract. The development is likely to be marketed at international buyers, especially from outside Europe. As well as a “golden visa”, buying a property here will also offer the chance for a western education; a real selling point for Chinese and Russian buyers. Speaking of Lisbon Airport, plans for the new airport are continuing apace. The original launch date of 2022 now looks a little optimistic, however. As you’ll know if you have ever had the slightly hair-raising experience of flying into it, Lisbon’s current airport is in the centre of the city and surrounded by apartments. The new airport will be at Montijo, 43 kilometres from Lisbon on the other side of the Tagus River. It will be handy for Comporta, however. If you’re thinking that even four years is a pretty optimistic opening date, the area is currently a military airport, so relatively little development will be required. Why wait? If you want to buy a home in Portugal this summer, come to Your Overseas Home in London, and Glasgow. There will be legal and currency specialists, plus gorgeous Portuguese homes for sale.